regardless of how “tech savvy” they feel. way to keep track of your health and progress. According to WHO, 60% of related factors to individual health and quality of life are correlated to lifestyle. Problems like metabolic diseases, joint and skeletal problems, cardiovascular diseases, hypertension, overweight and so on, can be caused by an unhealthy lifestyle. The relationship between lifestyle and health should be highly considered. The road to positive change in your health doesn’t have to come with expensive gym memberships and unreal expectations. 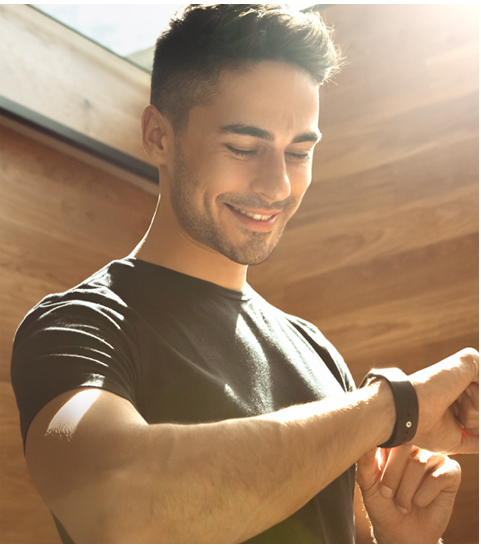 Activity tracking – Whether you’re running, biking, or walking, you can always check your heart rate and speed on the go. Goal Reminders – Set a goal for yourself and work to achieve it. Round-the-clock health management – Accurately monitors step count, heart rate, sleep quality & provides an idle alert. Monitors sleep quality – Accurately records information about your sleep quality every night, including data on deep and light sleep so that you can adjust your sleeping habits accordingly. Greater water resistance that allows you to do more. – The Fitness Tracker will 24h auto track your steps, activities record, heart rate, blood pressure, blood oxygen, running distance and calories. – You may also use the other functions like Set Running Target, Sedentary Reminder, Date/Time Display (12h or 24h), Clock Alarm, Sleep Monitoring. – Call Reminder, Messages and SNS push, Camera Remote, Stopwatch and many other features which can be accessed with a single swipe. The all-new iFit trackers are endowed with a complete range of support to help you stay active.